Come on down for some blues infused psychedelic garage rock! 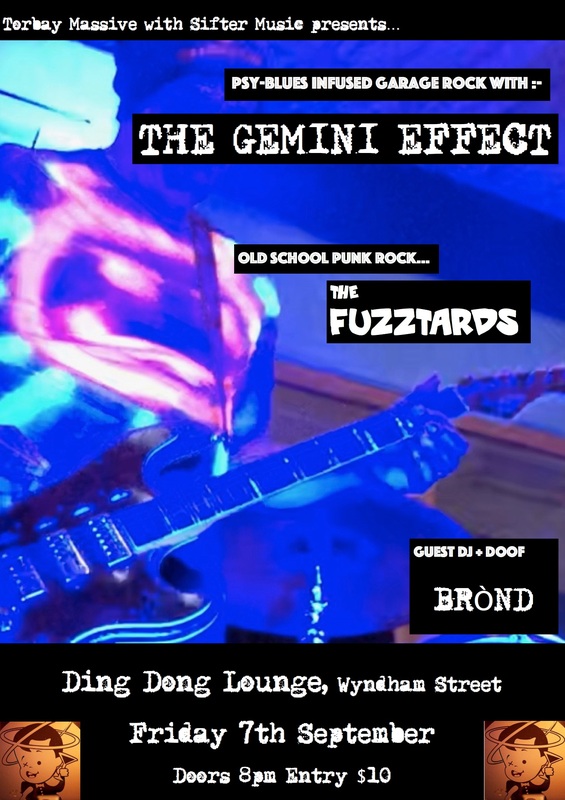 THE GEMINI EFFECT will be playing songs from their forthcoming 2nd album as well as old ones from 'ATOMIC BLUES'. Support from the mighty FUZZTARDS bringing a dose of classic punk rock. DJ and Doof from BROND.